It’s hard to take seriously specs like -3dB at 35Hz and 92dB sensitivity in a small, closed box like the KLH Albany bookshelf speaker. It denies Hofmann’s Law, the “H” in KLH, from the early ’70s, relating box volume, sensitivity, and bass extension. It’s an interesting point, Allen. KLH cofounder Josef Anton Hofmann’s “law” that loudspeaker engineers could only ever implement two of the three elements that you note in their designs still broadly holds true. As I noted in my most recent editorial, as impressed as I am with many aspects of KLH’s new loudspeaker lineup, I have my own doubts about their speakers’ stated low-frequency limits and sensitivity figures. I read your review about the KEF Q750 speakers! My question is, do you know if another amp [other] than my NAD C 375BEE will deliver more enjoyable hours of listening? If so, which one? I read a lot about the Yamaha A-S2100. That’s a difficult question to answer, Hans. There are an awful lot of amps out there, and many of them are quite good. Given that the Q750 is a pretty easy speaker to drive, optimizing sound quality would really come down to what your personal preferences are. Dynaudio Xeo Speakers: Still a Good Deal? I’ve just read your excellent review of the Dynaudio Xeo 2 loudspeakers (which I own). I noticed prices have gone down since your review. For example, now you can buy a pair of Xeo 4s with the Connect [wireless transmitter] for $999 USD on Amazon. I guess you would think it’s a really good deal? In any case, thank you for your valuable review. Having never reviewed the Xeo 4, and knowing that it came out before the Xeo 2, I can’t speak to whether or not the Xeo 4 is as good as -- or better than -- the Xeo 2. But if it is better, then, yes, I’d have to think that’s a pretty good deal. If you love your Xeo 2s and how they sound, then a pair of Xeo 4s is probably a no-brainer. KEF Q750: Not So Neutral? Hi from Tarragona, Spain. You wrote [in your KEF Q750 review]: “KEF’s Q750 is a superb loudspeaker. It’s one of the most neutral transducers I’ve ever heard, and for the money offers staggeringly transparent sound” [emphasis added]. But [per the measurements from www.hifitest.de‘s review, here and here], I can see a valley at 1.2kHz. I have commented about this issue in GR Research, and in DIYAudio, too. I think it is intentional, [with KEF] looking for a soft “V” response. The measurements you link to do, indeed, note a roughly -3dB dip around 1.2kHz. Since you seem to be measurement-oriented, it’s worth exploring what we’re looking at. 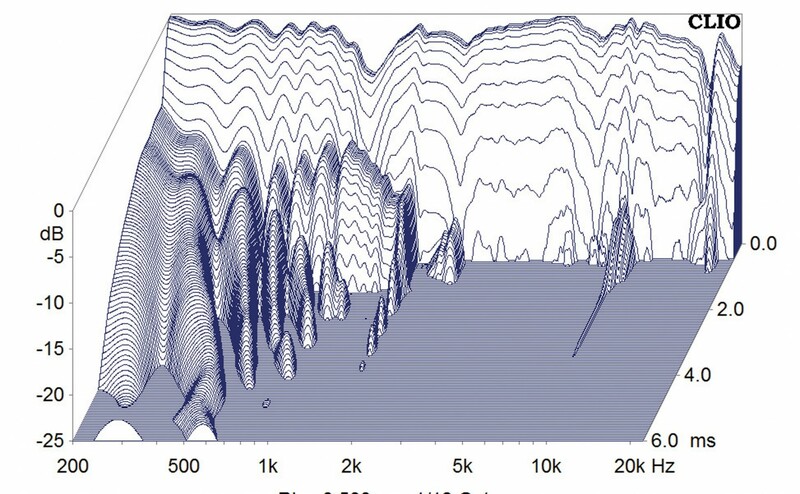 Let’s focus on the frequency-response graph. Are these measurements taken in-room, or in an anechoic chamber? Are the three curves on-axis, 15 degrees off-axis, and 30 degrees off-axis, or something else? Was it measured at 1m, 2m, or some other distance? Without any offered methodology to accompany the graph, you’re extrapolating an awful lot from three curves. That is one very narrow snapshot that is certainly better than nothing, but doesn’t offer anywhere near a complete picture of how the Q750 might sound in your average room. Take a look at some of our measurements on www.speakermeasurements.com, which we perform in an anechoic chamber at Canada’s National Research Council, where some of the early hi-fi pioneers did their acoustic research, including Dr. Floyd Toole (of Harman International), who quite literally wrote the book on modern loudspeaker design (see below). I’ll point you to the measurements of Revel’s Performa3 F206 loudspeaker. Numerous writers on our staff agree that the Revel (which is a division of the aforementioned Harman International) F206 is the most neutral loudspeaker at its $3500 USD price point, and its measurements are about as “textbook” as you can get for that kind of money, as evidenced by the “Listening Window,” which averages five measurements into one neat plot that is both commendably smooth and flat, with a 2-3dB tilt from left to right. There is nothing amiss between 1kHz-1.5kHz. Chart A, however, which includes on-axis, 15-degree off-axis, and 30-degree off-axis curves, shows a “valley” centered at around 1.2kHz–1.3kHz; surely not neutral! Hi-fi measurements, like everything else in life, must be placed in context. If you were to only hear direct sound from the Revel, then a deviation like that “valley” would surely be problematic. But we don’t hear like that. What our ears hear is a combination of direct sound from the speaker drivers, along with a variety of reflections that arrive at our ears at slightly different times, which our mind interpolates into something recognizable. The takeaway is that on-axis and near-on-axis measurements like the ones you mentioned in your e-mail only paint part of the picture and have the potential to be misleading if taken in isolation. I’d encourage you to take a look at some of our other measurements, which includes several KEF models. I’ll note that the Q750 is a two-and-a-half-way design that uses passive radiators in lieu of a bass-reflex port (or two). 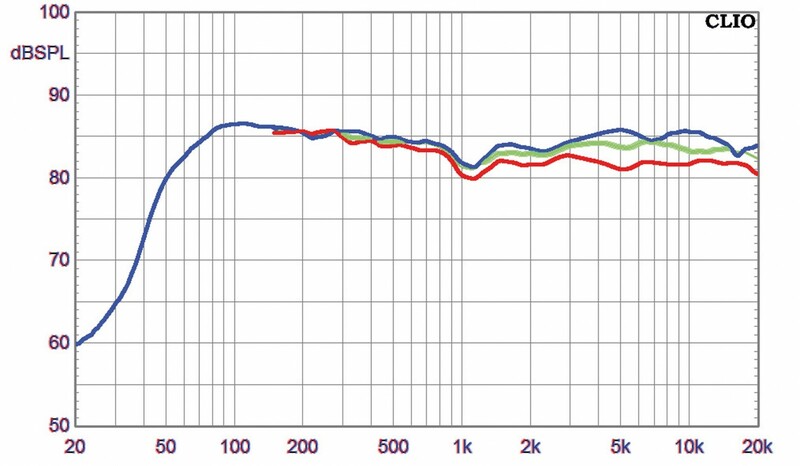 These kind of fundamental design choices may well have contributed to idiosyncrasies in the Q750’s frequency response curve that wouldn’t appear in a two-way or three-way bass-reflex design. We try to measure as many speakers as we can, but with writers all over North America, shipping large speakers often proves expensive and impractical, so it’s not always possible. Just so you know, I actually wanted the Q750 measured, but we couldn’t make it work logistically -- sorry about that. To answer your question above in a terribly longwinded fashion, yes, I think KEF purposely designed the Q750 to have the “valley” around 1.2kHz in its on-axis and near-off-axis frequency response curves. I am confident, however, that KEF did not intend for that to be audible, in-room, at the listening position. I suspect that if we were to run our usual battery of measurements on the Q750, the “Listening Window” plot would bear that out, and also confirm my subjective listening impressions. I sincerely enjoyed your piece on Schiit Audio, but I’m afraid you’ve opened a can of worms! Do you have any idea when we can expect to see the Aegir and especially the Sol? Maybe about the same time we’ll see a Valhalla 3? Any idea what sort of price/performance range the Sol is targeting? And we’re totally on the same page re: a more flexible integrated. If they could do a platform (it’s gotta have tubes) that has an option for a multibit DAC (with Gen 5 USB), plus the same phono capabilities as their outboard product, that would be killer. An additional analog input is also a must. $999 is the perfect price point, but if it was special, I’d pay more. Add main outs (or a pair of main outputs, so biamping is possible . . . the $699 Vidar or $799 Aegir is a very affordable option for either biamping or bridging). Wow! I’ve been an audio guy since the mid-’80s. Was a DJ in high school (1988 grad), so I had the pleasure of owning a current generation of the Technics SL-1200MK2. Boy, do I wish I kept it! Also wish I kept my Dunlavy Audio Labs SC-I loudspeakers from the mid-’90s and the Meadowlark Audio Kestrel 2s I sold a few years ago. I even worked in a high-end shop in 1994 and a mid-fi shop in 1995. But lately it’s been headphone gear, and I’m just now fleshing out another two-channel system. My headphone system is the Schiit Valhalla with a Schiit Bifrost Uber. I use the Musical Fidelity V-Link192 USB-to-S/PDIF converter to decrapify my USB, and I’ve got cables that significantly exceed the typical budget for (roughly) $1000 in electronics. Source is a MacBook Air running iTunes. My headphones are [Sennheiser] HD 600s with an upgraded cable. I had a Cardas upgrade, but the ’phones-end terminations weren’t making a good connection, so I sold it. The one I have now isn’t a brand name or expensive. There might be a Nordost Blue Heaven upgrade cable in my future, but I’m waiting to decide if I’m going to jump to the [Sennheiser] HD 800 [headphones] first. Anyway, after reading the Wharfedale Diamond 225 article on your site (along with the articles on the Stereophile and The Abso!ute Sound sites), I decided to grab a pair with the matching stands. They’ll be here Saturday. Can’t wait to hear them based on everyone’s love for them. This will be the first speakers I’ve ever purchased on word of mouth alone, but at $349 per pair, I didn’t feel like I had a whole lot to lose. My current vinyl [setup] is a Music Hall Audio MMF-2.2LE with the acrylic platter upgrade. Considering an eventual step up to the [Music Hall] MMF-7.3 with the [Ortofon] 2M Bronze [phono cartridge]. The $1500 price range is a very crowded space -- way too many options out there! I’d eventually also like to have a Rogue Audio Sphinx and a Schiit Ragnarok (or the mythical integrated outlined above), and I’d also like to get my hands on a pair of Dunlavy SC-II or SC-III [loudspeakers]. That would just about do it for me as far as flexibility while still being real-world in terms of dollars. I’m keeping your site bookmarked, and I’ll return frequently to see the new reviews, etc. In the meantime, if there’s anything you’ve seen that sounds like it may fit within the gear I’ve outlined, I’m always looking for (and grateful for) input from professionals. 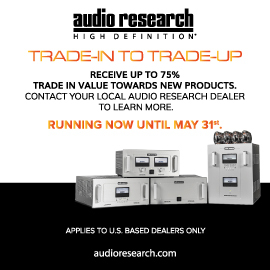 Unfortunately, I don’t have any greater insight than you do on Schiit’s future products, but I’m sure hoping we can land a couple review samples from them this year. 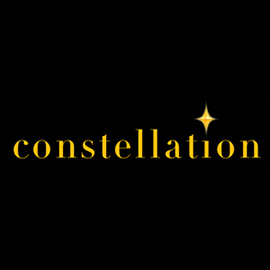 Since they’re a direct-to-consumer outfit with a really strong customer base, they tend to put reviews on the backburner, but maybe that will change this year. KEF: Q350, Q750, or R500? I read your review of [the] KEF Q750 loudspeakers. Since a year ago, I have Q350s [that] are powered by a Rega Brio amplifier. I find the Q350s to be excellent speakers. Yes, sometimes the treble can be a bit too dominant, but otherwise I am very satisfied with them, very clear and airy. About the treble, I also found a review with the same opinion. But it’s tempting to get floorstanders and I have considered Q750s for a while. You say that 50Wpc should be sufficient for [the] Q750 and that’s exactly what [my] Rega Brio is capable [of providing into an 8-ohm load]. In my apartment I cannot play extremely high volumes anyway. Have you any experience [with the] Q350 and, if so, what level of difference would you describe I will get by replacing them with the Q750? Will it be similar but just with a bit better bass? By the way, KEF’s R500 is [on] sale now for about the same price as the Q750. That is also interesting. 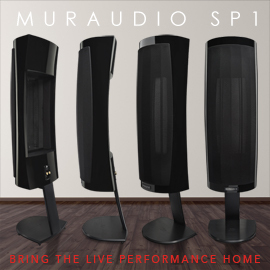 Do you have experience of how the R-series models are compared to the Q-series [speakers]? While I haven’t heard the Q350 in person, I know that KEF tries to voice all the products in a given line identically, so I think it’s safe to assume that the Q750 will sound very much like your Q350, just with greater bass extension and impact. Accordingly, if you’re happy with the way that your Q350s sound with your Rega amp, you should be happy with the Q750s. The Q750’s slightly greater sensitivity (88dB vs. the Q350’s 87dB rating), should also allow it to play slightly louder within the Rega’s 50Wpc power limits. I just saw your latest post on SoundStage! Access. I’ve had a pair of KEF R7s since mid-October (I think I got one of the first pair in the US from KEF Direct), and I think you will love them. 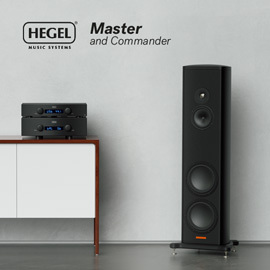 Mine are driven by a Hegel Music Systems H160, by the way. 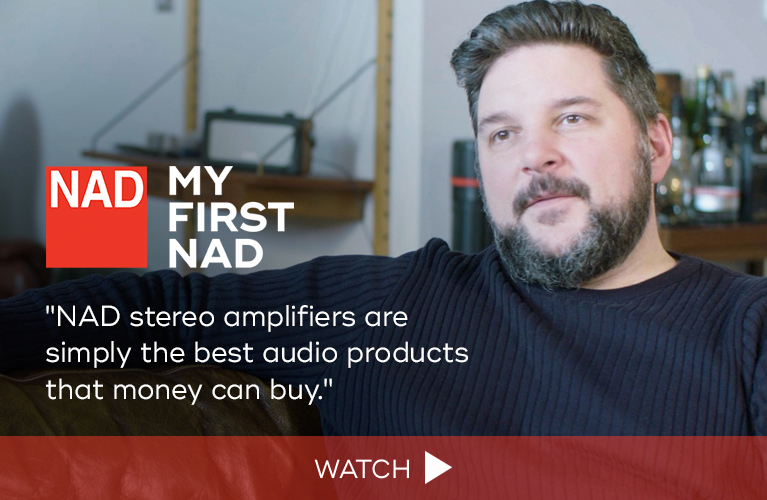 [They’re] my first KEFs, so I don’t know how they compare to the R700s, but I will tell you my experience. They take a while to break in. Out of the box they were pretty hollow/forward, not what I’d call “bright,” because [they’re] not harsh, just a bit lean in the upper bass/lower mids. I’ve come to conclude that this is apparently consistent with KEFs “house” sound and is how they accomplish the whole “transparency and detail” thing without any excess midbass muddying things up. My previous speakers were Sonus Faber Venere 3.0s, which, of course, lean (too heavily, perhaps) to the warmer side of things, so it was a bit of an adjustment for my ears/brain. But, now that they’ve run in (100+ hours) and I’ve gotten used to them, I am very happy with the R7s. I kept the Veneres just for the hell of it, and am looking forward to putting them back into the system in a few months to see if they sound slow and syrupy in comparison to the KEFs. If so, I will sell them. I love reading all your reviews and comments, as most of your systems are in my preferred price range. Cheers!!!! Definitive Technology Demand D9 or KEF Q Series? I’m not sure if you respond to readers’ questions, but thank you for your detailed reviews on Def Tech’s [Demand] D9 loudspeaker and for the KEF Q750 floorstanding loudspeaker on SoundStage! Access. I hope you have the time to answer some questions as I am in the market for surround sound and I am building from scratch with the aim for [a] 5.1.4 [surround-sound system] for music and movies. 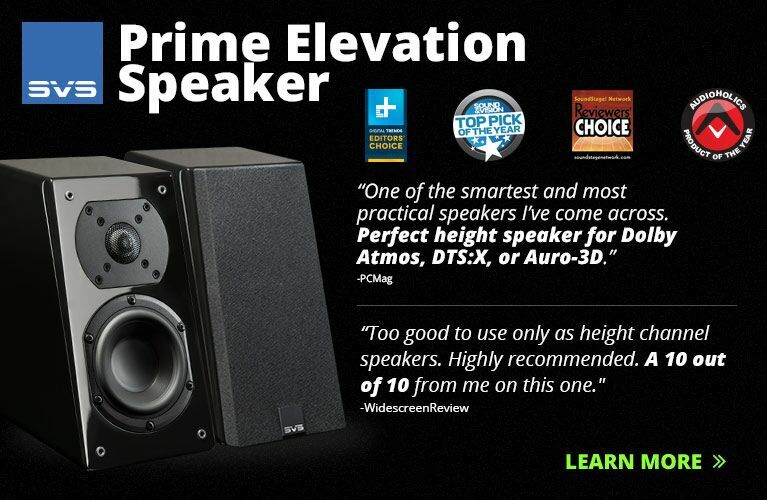 You reviewed the Def Tech D9s later in the year and mentioned at the end of the review (paraphrasing) that you emphatically recommend them, that they are nearly as good as the LS50 for less money. At the end of the KEF review you mentioned that you would buy the Q750s for $1500 and couldn’t pay them a higher compliment. You compared both speakers to your KEF R700 and said that you never considered swapping the R900 for the Def Tech. For the KEF Q750, you mentioned that they were nearly as good as the R900. Could you please compare the Q750 to the Def Tech D9? I am uncertain which you rate higher. Should I consider having the Def Tech D9s as the [rear speakers] with KEF Q750s as the [front speakers]? Which speaker, for the cost, do you prefer more? Which speaker without regards to cost do you prefer more? I am also going to be living in a small 13’ x 15’ living room, but want to be able for the speakers to accommodate a larger 20’ x 20’ living room in the future. Furthermore, I recently listened to the new KEF R11 at a Magnolia, but I do not have any reference for the sound as I never heard the KEF Q series or Def Tech [D9], but I do very much like the R11s’ sound, except that [their] $5000/pair [retail price] is not within my budget. The Magnolia representative completely ignored my budget and desired to up-sell me. I’ll be honest: I am tempted by the new R series. Ideally, my budget is under $3000 for a 5.1 system, and $5000 for a 5.1.4 system, but I am flexible and can wait on adding Dolby Atmos. Def Tech’s D9 is much cheaper and currently on sale for $600/pair at Crutchfield. I do not see a sale for KEF’s Q series yet. KEF’s old R series is on sale. There is a lot to cover here, but broadly speaking, you should try and stick with one brand of speakers for a home-theater system. That gives you a decent shot at the speakers -- even if they’re from different lines or product generations -- producing a consistent and coherent 360-degree soundstage. Buying from the same product line is obviously ideal, as everything is, or at least should be, voiced in the same manner. With that in mind, and the fact that you listened to the new R11s and liked what you heard, I think that KEF’s Q series is the right choice for you, as KEF’s voicing is pretty consistent from product to product and from line to line. While the Demand D9s were seriously impressive on a variety of levels, I didn’t love their performance below 100Hz. The Q750s, meanwhile, were pretty much flawless from top to bottom, albeit with limits on bass extension and overall output. Given that you’ll have a surround-sound system, with a sub, in a fairly small room, I don’t think those considerations will be an issue for you. Hope all is well. [After my previous letter to you], I ended up buying the Q Acoustics 3050i loudspeakers and I am very happy with them. To my ears, their performance rivals speakers that cost a lot more. I sent the Outlaw Audio stereo receiver back as it was bright-sounding and lacked bass. I paired the Q Acoustics [speakers] with a Yamaha A-S701 amp and together they fill my family room and part of my kitchen with high-fidelity sound. 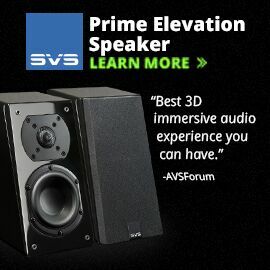 I enjoyed reading your reviews and learning more about speakers and other audio components. Take care. Bowers and Wilkins 603 or Elac Uni-Fi UF5? I need advice. I am torn between the Bowers and Wilkins 603 and Elac’s Uni-Fi UF5. I’ve been able to listen to the 603, but no one carries Elac in Houston to listen to. What are your suggestions? My wife liked [the 603’s] sound, but I worry about price and “listening fatigue.” Big price difference [between the two speakers]. I’m using an old Acurus A250 amp. While I reviewed the “Slim” version of the Elac you mention, I haven’t yet heard any models from Bowers and Wilkins’ new 600-series line. I did, however, review the more expensive 704 S2 model, and it wouldn’t surprise me if the 704 S2 and 603 are voiced similarly. If that is the case, then I agree that listener fatigue could be an issue, as the upper midrange and treble of the 704 S2 was prominent, to say the least. Certainly, that sound profile works for some people, and perhaps you and your wife fall into that category. The Elac, on the other hand, is not a speaker with which listener fatigue would be an issue, I don’t think. KEF Q750 or Paradigm Monitor SE 6000F? KEF Q750 or Monitor Audio Silver 300 Loudspeakers?